As someone just getting back into the hobby, I have a fair amount of catching up to do. The internet is full of resources, from fan sites to the official Lego site, to a whole host of third-party businesses that sell new, used and custom Lego. I’ve been slowly accumulating interesting blogs and news sites, and I will talk about those another time. Right now I want to wax about a site that I’ve been using for years, but has taken on an entirely new life for me as a Lego fan: Flickr. I’ve been using Flickr for years. I store my favorite photos there, carefully organized into sets and galleries. Every time I take a trip, I edit down the photos and create a set on Flickr. My account is full of photos from my hiking trips and family pictures. They really aren’t too interesting to people who don’t know me, but I enjoy being able to show them off and flip through them on my own. 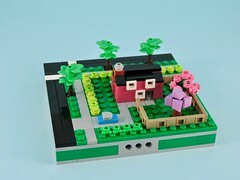 A few months ago, as I started to get back into Lego, Flickr took on a whole new dimension for me. As I browsed blogs and news sites, their picture credits kept bouncing me back to Flickr accounts. 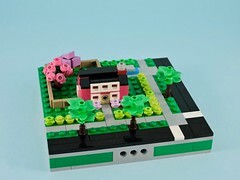 There I found thriving AFOL (adult fan of Lego) communities for nearly any kind of building. My contact list has been quickly growing, a roster of mostly sci-fi builders with a few members of my LUG thrown in. Every day I get to see a variety of new mecha and spaceships. I don’t engage much yet, leaving rare comments, but there are forums and groups that I could join and participate in. There are a number of contests too, such as Shiptember, where the goal is to build a spaceship model at least a 100 studs in length. In future posts, I’ll share some of my favorite builders and their models. There are some amazing creations. For now, I suggest digging in for a little exploration! p.s. I’ll start posting links to some of my favorites tomorrow!